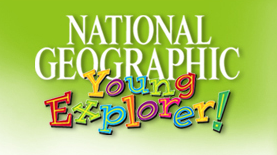 I found this website through Pinterest that has the National Geographic Young Explorer! Magazine online. It is great quality and it reads the text to you; that means you can listen to it as a class or students could go on it and listen on their own during computer time. Soon after I found this website I introduced it to my kiddos. We went through an article about the sun together on our Smart Board and they LOVED the photos, how it read the text to us (not sure why they would want a break from hearing my voice?!? hmm! 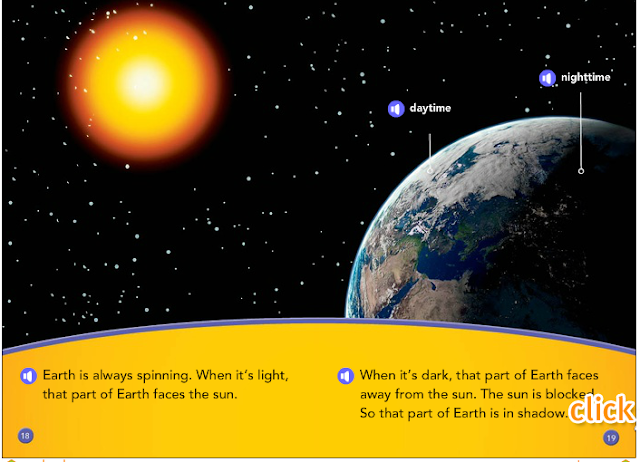 ), and their just obsessed with learning about the sun. It was a really engaging read aloud that everyone could see, could hear, and wanted to keep reading. What more could a teacher ask for? Look at that picture? Looks awesome! What an article looks like. You click the little purple buttons to have it read it to you and then click the 'click' button to turn to next page. Super easy. And I took the time to go through each issue and write down the names of each article inside so you know what the issue is about. See the dates above each issue in blue? You'll find those below with the articles inside each issue. 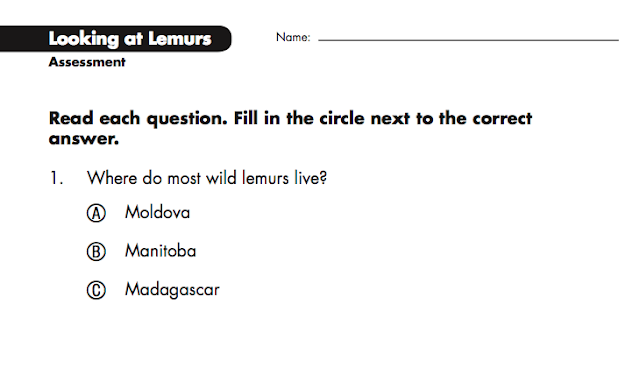 You can choose ones relevant to what we are teaching about. 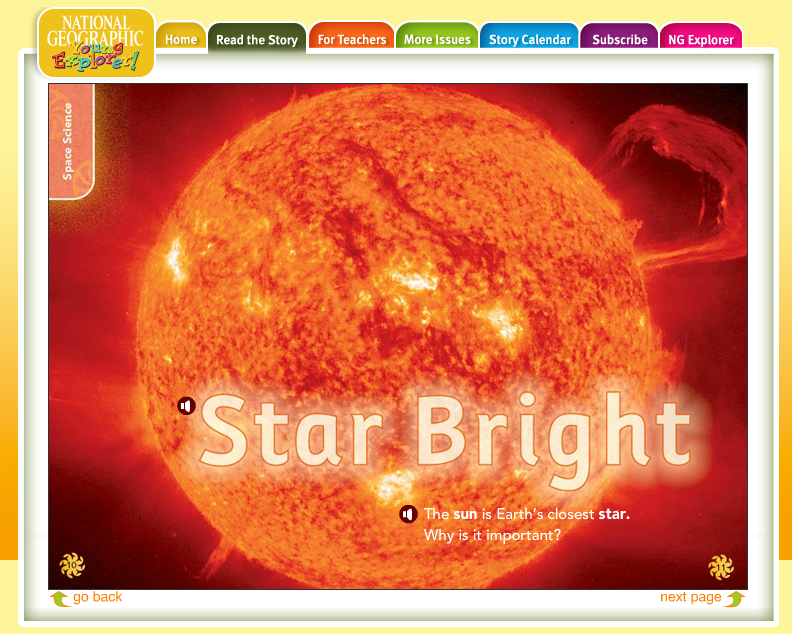 This would be a great reading to supplement lessons or use it instead of your science text. For example my science text isn't up to date and doesn't have include everything I'm supposed to teach in it (lame right?) so I use one of these articles to introduce the material. 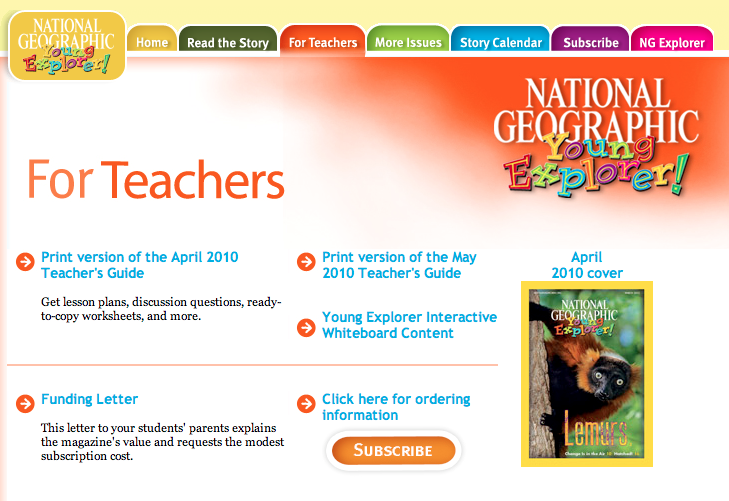 So if you decide to use these articles in your class then click on the for the teacher button at the top. See it?? Well if you click on the print version of the April 2012 Teacher's Guide a PDF file will pop up. Inside the guide is more information on the topic, lesson plans, pre-made assessments and worksheets. They don't have every topic but a good amount! 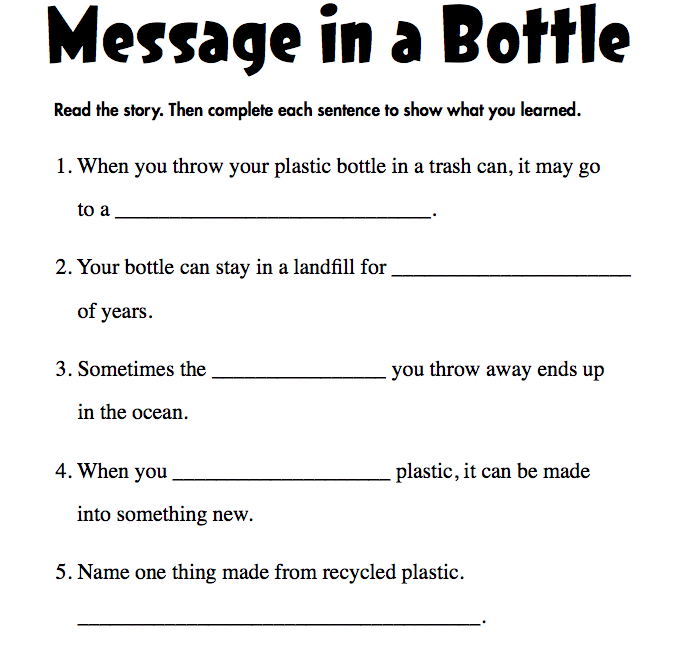 Do you think you could use any of these resources in your classroom? There is so many different things you could with this resource. What do you think you would use it for? To meet the demands of employers, the best option is to buy a degree online which offers flexibility and convenient timing.